Licensed games are a mixed bag. Usually, gamers regard them with scorn and derision. That’s because most licensed games are just generic titles that are put out using a particular show, movie, or book as a backdrop to sell more copies. However, there is a second, albeit smaller category. The licensed games that create a title that really makes you feel like you’re interacting with that universe. I’m talking titles that really roll up their sleeves and immerse you in that world, the ones that take the coolest and most interesting aspects of that world and turn them into gameplay ideas. Your Arkham Asylums, your Butcher Bays, your Stick of Truths. These are games that crafted engaging gameplay experiences from beloved IP. And now Overkill is here to try that again with The Walking Dead. To begin with, I should note that another big (and sadly now-defunct) studio gave The Walking Dead their day in the sun, and it was amazing. Of course, Telltale Games is a studio that makes adventure titles, so their games focused on the day-to-day lives of the survivors and the difficult decisions they had to make in their quest for survival. Overkill is making a co-op action title. Now, that’s a good thing because it manages to focus more on the action and chaos of The Walking Dead world. It’s most certainly a bad thing because we already have an absolute crapload of titles where you kill zombies. Now, right off the bat Overkill’s The Walking Dead gets points because it doesn’t want to be yet another wave shooter or co-op zombie shooter. It’s right to do to that because it’d have the size 13’s of Left 4 Dead 1 and 2 to fill. Instead, Overkill’s The Walking Dead takes after another game Overkill put out, namely Payday 2. In this version of The Walking Dead, you’re more focused on completing objectives with a small team. Now, these objectives are usually simple affairs like finding a fusebox or repairing a door, but they’re usually given to you in the heat of battle, which makes them that much more entertaining. The game presents its missions in an overhead map, and in between missions you can upgrade your character and manage your camp (usually this just means spending resources that you gathered during missions). The camp management aspect of the game is super minimal and I guess it just serves as another little bonus task for you. The upgrade system is actually pretty detailed, and I’d say the game definitely gives you a tough time in the first five levels because you lack a lot of really useful abilities. The characters in the game each have their own unique skills which can come in handy, so it’s important to have as varied a team as possible. Some characters can pick locks, while others can snipe far-away enemies. It’s also pretty tough because fighting zombies in Overkill’s The Walking Dead is no joke. For one, they take a couple good hits to go down. But more importantly, the game has an ‘alert system’ which is based on the amount of noise you make. As such, shooting zombies makes noise, and as you make more noise you attract more zombies. It’s a pretty clever gameplay mechanic, and it definitely encourages you to play more intelligently. You have silencers on your guns (that have limited use) and you also have a range of silent weapons like crossbows. You also have melee weapons, and I’d recommend getting comfortable with these because you’ll be using them for most of the game. The game’s melee isn’t terrible (it’s no Dying Light) but it’s functional. Aside from zombies, Overkill’s The Walking Dead also pits you against humans. This is based on the fact that in The Walking Dead series the protagonists’ feud with other humans when they’re not busy killing zombies. Of course, in true zombie apocalypse world fashion, you can pit rival humans and zombies against one another to hit two birds with one stone, or more accurately turn one gang of flesh-eating birds against a gang of armed thug birds. Metaphors are tricky, but you get what I’m saying here. So all in all, Overkill’s The Walking Dead has some great ideas. Now here’s the part where I get negative. Overkill’s The Walking Dead, at least in its current state, has so many problems that detract from what should be an enjoyable experience. I would say the biggest issue with the game is that it’s a multiplayer shooter that has pretty basic multiplayer design. You jump into a game and then it gives you a chance to invite friends before randomly matchmaking you with a bunch of people. Strangely, it doesn’t give you the chance to actually look through lobbies other people started, which would seem to be a much smoother process. Once you’re in the game, good luck communicating with your teammates. I asked people in-game about this and I scoured Google, but I couldn’t find any evidence of a push-to-talk button. That’s right, in a game built almost entirely around working together, there’s no way to verbally communicate with your teammates as you would with 90% of multiplayer shooters. I was forced to sit and type notes to people if I needed to be revived. And speaking of being revived, expect to be doing that a ton because the game’s difficulty is just not as balanced as it could be. Overkill’s The Walking Dead zombies are way too overpowered, even on normal mode. If they grab hold of you, there goes a chunk of your HP. Even with guns, you need to very precisely land headshots to get them off you. It just feels like they’ve gone a step beyond legit challenge and moved right into artificial difficulty. Overkills’ The Walking Dead is in a very precarious position right now. It needs to try and fix these issues as much as it possibly can, because a multiplayer-focused game thrives on its community, and having all these glaring problems in the game will definitely affect its community. Having a smaller community will lead to its community shrinking, even more, continuing the vicious cycle. And I’d really like that vicious cycle to stop because what we have here is a game that is in many ways unique and engaging. Despite the rage quits and unfair deaths, I found myself tempted to jump back in and brave five minutes of loading screens. I’m hoping this game can reach its full potential soon, though. 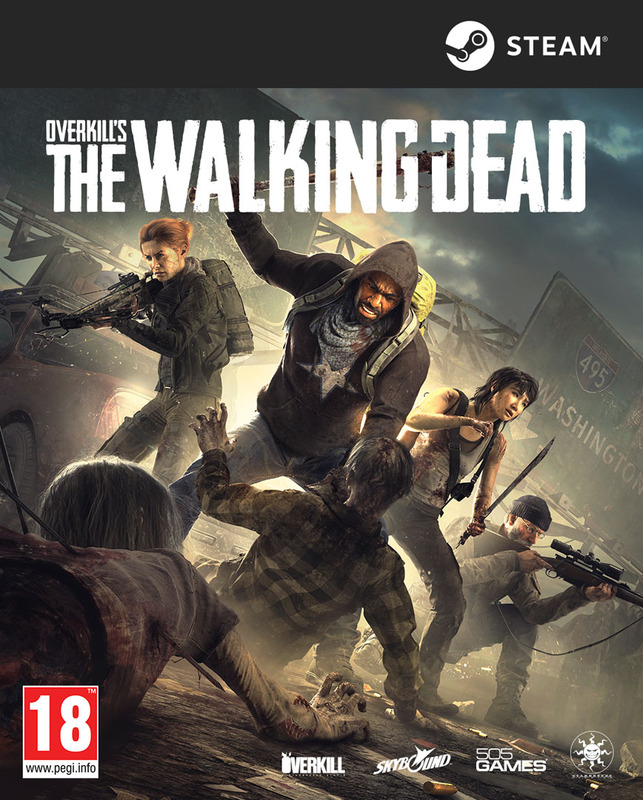 Overkill’s The Walking Dead was reviewed using a PC downloadable code of the game provided by 505 Games. The game was tested on a machine running Windows 10, with an 8GB NVIDIA Geforce GTX 1070 fitted on a 4th Generation Intel i7 4790 3.6Ghz CPU and topped with 16GB of RAM. Overkill’s The Walking Dead is also coming to PlayStation 4 and Xbox One later in February 2019 in digital and retail store releases. We don’t discuss review scores with publishers or developers prior to the review being published (click here for more information about our review policy).